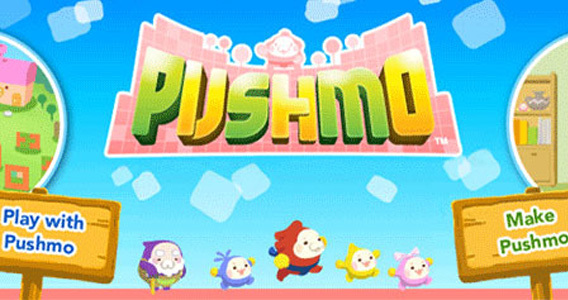 Welcome to the world of pushmo.This game is a tricky puzzle game with over 250 puzzles. The character in this game's name is Mallo. I just call him red pudgy sumo.There is also a old man who made all of the pushmo's and help's you in the beginning of the game. The story in pushmo is fairly simple you have to save the children who are trapped in each pushmo by pushing and pulling out the different colored blocks. The game starts of fairly easy but as you get farther the puzzles get trickier and more though out. The is also a little jerk as the old man called him who hit's the reset button to trap some of the kid's inside.The reset button is just that if you mess up on a pushmo just jump on the reset button to reset the pushmo. If you want more just type in pushmo QR codes and you will find alot. This game can offer hours of fun but also hours of raging at the difficulty of some. I usually hate puzzle games but this one is actually really fun. 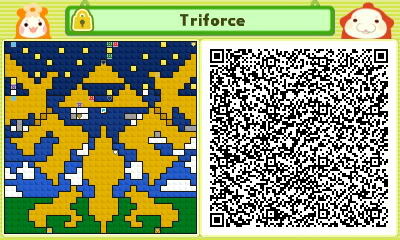 I love playing with the ones people made and put up as QR codes. At the Eshop it sells for 7.99 in us witch is a good price for all the fun you will be having. Garchomp wrote: i want it! Ill probably get it soon. It looks like a really cool game.